This week, I became the longest-serving employee of the Hesperia Star, just edging out former editor Peter Day’s record. I’ve now been at the Star for eight years and four months. But that’s it: At lunchtime today, I gave my two-week notice to my supervisors at the Daily Press. It’s been a pleasure covering Hesperia and the Victor Valley for the last eight years. I believe that, on the whole, I’ve done a good job and that the community might be at least a bit better off for my having been here. And that’s a good thing, since it’s home to my in-laws and it was home for me, my wife and our son as well. I’ve worked hard to make sure the commuters who make up the bulk of Hesperia’s working adults can know what their local governments — which have more immediate and profound impacts on them than their representatives in either Sacramento or Washington typically do — are up to while they’re traveling back and forth on the I-15. I’ve covered all but one of the Hesperia service personnel who’ve lost their lives as a result of the wars in Afghanistan and Iraq. I even, accidentally, got a homeless man off the street, with a new home, a new job and a new shot at getting things right. But eight years is a long time to be on a single beat. Although there’s certainly been a benefit to having personal knowledge of politicians’ previous incarnations or the history of long-running stories like the Ranchero Road Underpass, the Hesperia casino project or the California Charter Academy audit and subsequent indictments, there’s also a danger of falling into habits when it comes to looking at given issues. It’s time for fresh eyes on Hesperia. And it’s also time for new challenges for me. I will be moving to another Southern California newspaper, where I’ll be responsible for the coverage of 16 school districts, a major change from the hyper-focused coverage I’ve done since 2004. Truthfully, the challenge is a little scary, but that’s a good thing, too: I’ll be a better reporter as a result of being forced to grow and develop new muscles. Netty Madden Yarbrough died on 29 July, 2011 at age 87 in Longview, TX. Born in Columbus, GA, she then went to Atlanta, GA at age 17. She moved to East Point, GA where she raised her two sons while operating several businesses. In 1978, she moved with a close friend and business partner to Bradenton, FL where they ran several other businesses. Before retiring, they created and ran a pet boarding kennel in Myakka City, FL. She moved to Mt. Pleasant, TX in 2011 near one of her sons. In her twenties, Netty was a highly ranked amateur golfer on the Pro-Am Circuit while a member of Druid Hills Country Club in Decatur, GA. She played with both Babe Zeharias and Louise Suggs. She gave up golf to care for her young family but took the game up again fifty years later. After only a few months of practice, she had played a 6-under-par round and was carrying a consistent 18-handicap. Not bad for an out of practice 75 year old! 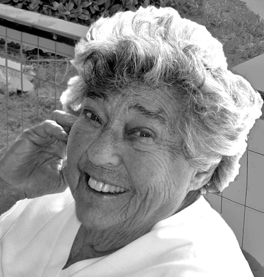 During her long life, she endeared herself to many people with her humor, inspired others with her persistence and honesty, and, set an example for all with her loyalty and courage. She will be sorely missed by all who knew her. She was predeceased by three brothers (James, Clinton and Douglas Madden), two sisters (Margaret Mitchell and Ruby Graves Munday), and her long-time friend and partner Shirley Degraves of Myakka City, FL. She is survived by two sons, Lanier B. Yarbrough of Oakland, CA and Dane Madden Yarbrough of Lone Star, TX, one niece, June Orr Boyd of Atlanta GA, four grandsons, and six great-grandchildren. There will be no memorial service at her request. Cremation was carried out by the Bates-Cooper-Sloan Funeral Home of Mount Pleasant, TX. James and Yo Gabba Gabba! James’ first live show was the Yo Gabba Gabba! There’s a Party in My City Tour, which the family saw on Nov. 26, 2010, at the Nokia Theatre in Los Angeles. Blend cornmeal and one cup of water in a bowl until smooth. Bring the three remaining cups of water, butter and one teaspoon of salt to a boil in a medium-sized saucepan, stirring constantly and gradually adding cornmeal mixture. Cook, stirring often, until thick. Cover and set the mixture aside. In a large frying pan, heat the oil and add onion and garlic. Sauté them over low heat for five minutes. Brown the ground meat, breaking meat up with a fork as it cooks. Stir in beans, corn, tomato sauce, chili powder, remaining salt and pepper. Heat to boiling. Reduce heat and simmer for 10 minutes. Line the bottom and sides of a 12″ by 8″ by 2″ with half of the cooked cornmeal. Pour the hot meat mixture on top of the cornmeal. Top with the remaining cornmeal. Sprinkle with Monterey Jack or cheddar cheese. Bake at 350 degrees for 50 to 60 minutes or until the filling is bubbly hot. The original article, detailing the recipe’s origins, after the jump. 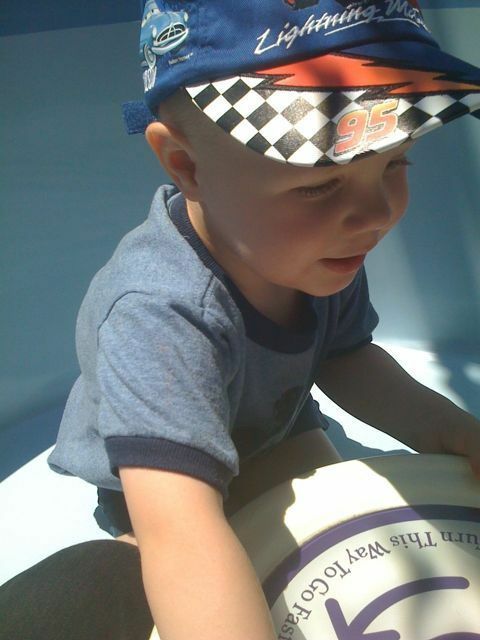 James on the teacups at Disneyland. Joel and James ride the slide at Goofy’s house in Toon Town. 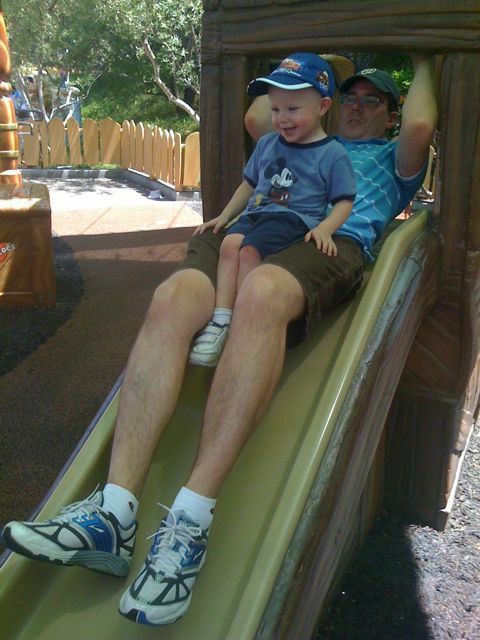 James finally overcame his fear of slides after this and went on it over and over and over and over. 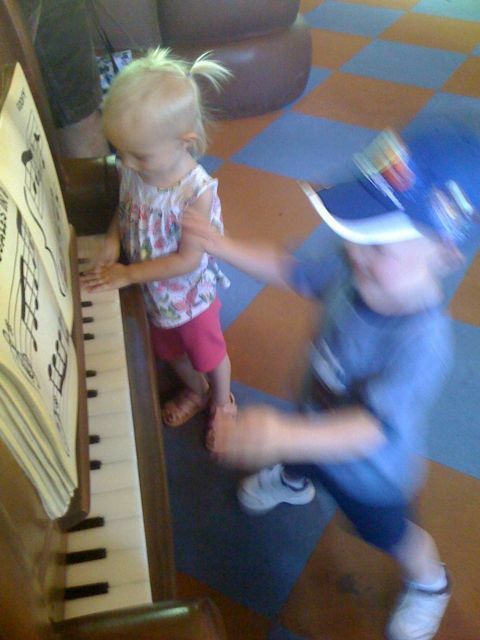 James and Isabel rock out on Goofy’s piano. 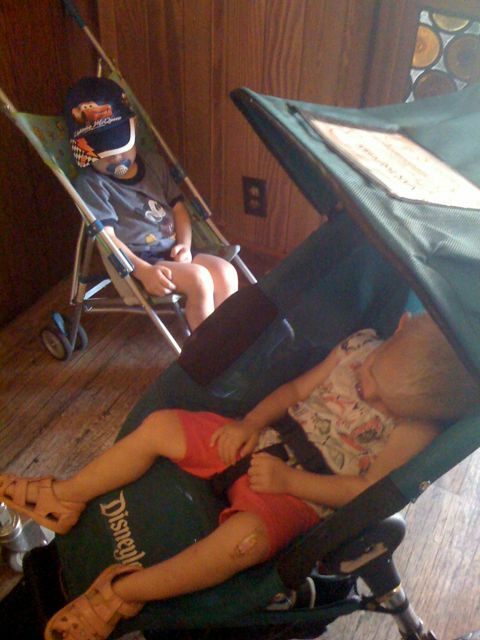 James and Isabel crash while Kate shops at the Bibbidi Bobbidi Boutique in Fantasyland. More pictures on James’ blog here.